Novak Djokovic and Rafael Nadal in a Grand Slam tennis final. Sound familiar? The two former Australian Open champions have a total of 31 major titles between them, and now they go head-to-head in the 2019 final to add to their collections. 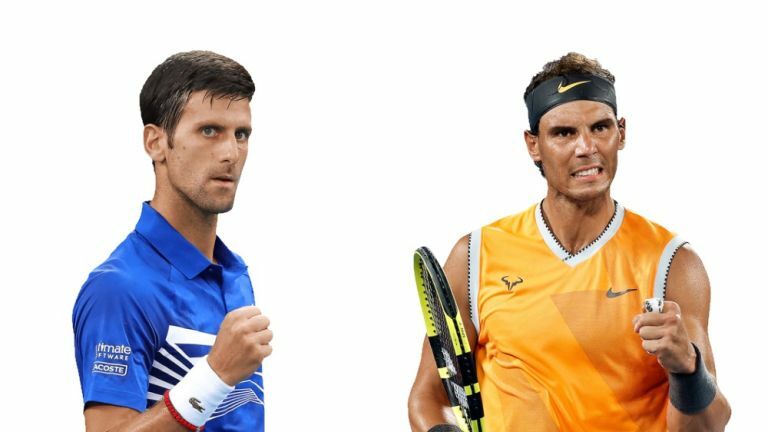 We'll tell you the best ways to watch Djokovic vs Nadal via a live stream no matter where in the world you are – there's even a free stream if you're Down Under. Temperatures have been very high in Melbourne over the last fortnight, and so has the quality of tennis. And nobody has impressed more than the formidable Novak Djokovic. Having bagged the last two Grand Slams of 2018, the Serb is on course for a hat-trick. A win today would make him the most prolific Australian Open champion of all time, overtaking Roy Emerson and one Roger Federer. Standing in his way is the indomitable Spaniard Rafael Nadal. His only tournament win here came 10 years ago, but he looks in terrific form having not dropped a single set on his route to the final. He'll be the underdog at the start of this match, but Rafa will inevitably have the raucous Aussie crowd on his side. The men's 2019 Australian Open final is due to start at 7.30pm local time (so 8.30am GMT). Below we have a rundown of your live stream options and how using a VPN can help if you're somewhere that isn't showing the tennis final this weekend. Once it's been downloaded and installed, open the app and select a server location (it's super easy) of a country that is showing the tennis as listed below. Then you can watch as if you were present there in that very location. Probably because of the lack of British interest this year (poor old Andy! ), no free-to-air broadcasters have put their hand in the air for this one - unlike in Australia. It's on Eurosport, which you can add to the likes of Sky, Virgin Media and TVPlayer or download as a standalone app. It costs £9.99 per month, or £4.99 per month if you commit to a whole year. But if you're an Amazon Prime Video subscriber (or are considering becoming one), there's an even better way to get access to watching the final. Prime members can sign up to Eurosport for just 1p per month! And the usual free trial to Prime is available as well, so if you've never tried it before then now's the time. If you find yourself outside the UK but still want to watch via Eurosport, you'll find that access is blocked due to geo restrictions. The way to get around this is by downloading and installing a VPN as described above. Where else has a Australian Open live stream? As one of the world's major tennis tournaments, lots of countries show tennis from Melbourne Park. We can tell you who else is broadcasting the Australian Open tennis in your corner of the world. Channel 9 is the new home to the Aussies' home tennis major. The free-to-air channel has had all the coverage so far and the final is no exception. There's also the option of using a VPN as described above if you're away from home and still want to catch the coverage. Fantastic news for tennis fans Down Under who want to catch the Djokovic vs Nadal battle. ESPN is the official broadcaster in the US, with the likes of the Tennis Channel, Fubo or Sling TV all offering shorter subscription services if you don't want to commit to cable. It's less good news in New Zealand, as you need to be a Sky subscriber to get access to the Djokovic vs Nadal action. It's TSN in Canada if you want the local coverage of the tennis. That means you'll need cable to watch, or use that VPN option as explained up the page if you want to combine it with a channel overseas.